Comment: replace old widows to increase efficiency and increase value of home. Not looking for cheap widows. The windows I have are fine They were installed by builder in 2000. Comment: Repair a Arizona room door slat that slide up and down. There is not traditional glass or plexiglass installed it is a plastic film that needs replaced. I have pictures. Any suggestions? No one seems to know what it is... you have any ideas? Please call xxxxxx at 818--xxxxxxxx. Thanks. 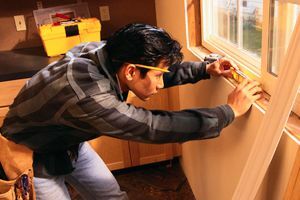 Tucson Window & Door, Inc.
Tucson Window Replacement Companies are rated 4.44 out of 5 based on 501 reviews of 13 pros. Not Looking for Windows Contractors in Tucson, AZ?